The Condominium’s Management and its residents must actively participate to ensure that the condo building and its surrounding areas are safe and secure. The safety of your neighborhood is everyone’s responsibility. The Condominium’s Management and its residents must actively participate to ensure that the condo building and its surrounding areas are safe and secure. Potential dangerous situations that may result in compromising the safety of the residents should be identified early in order to eliminate the problems before they happen. Responsible Management always makes sure that all security features of the building are periodically checked and maintained in good working condition. Any broken locks, burnt out lights or other faulty devices are fixed as soon as possible. Both exterior and interior lighting are extremely important in a building’s security; all walkways, doorways, parking areas, elevators and corridors should have sufficient illumination. Residents must be aware of the building’s security measures and know how to make full use of them in order to improve their quality of life in the neighborhood. watch out diligently for any dangerous situations as well as any suspicious activities in the neighborhood and report it immediately to the building management. fortify your balcony door by placing a sturdy rod in its track in addition to the door lock. This is really important if your unit is on the ground level or lower floors. restrict access to the building by people who are not authorized to be there. lock all doors and windows at all times, even if you are gone for just a moment. must be cautious on making extra keys for a friend because "your friend today might not be your friend tomorrow". use the laundry area during day light hours if possible and/or use the “buddy system” when doing your laundry. do not prop open exit doors or gates of your building at any time. They are kept close for safety reasons. be wary of anyone knocking on your door unannounced. Thieves can pose as delivery people or security personnel to gain entry into your home. never leave notes on your door that would indicate your absence. It is advisable to connect lamps to timers during a prolonged vacation in order to give the impression that someone is home. do not leave valuable items or equipments in your balcony that would be visible from outdoors. It would clearly pose as temptation for thieves to break-in. 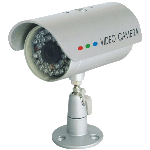 With modern technologies of today, security systems are becoming increasingly sophisticated. But sometimes just old-fashioned precautions, awareness of one's surroundings, and considerations for others in the community can also help to be effective in creating a safe and secure living environment. Let us all work together to help make our neighborhood a safe and enjoyable place to live, work and play!